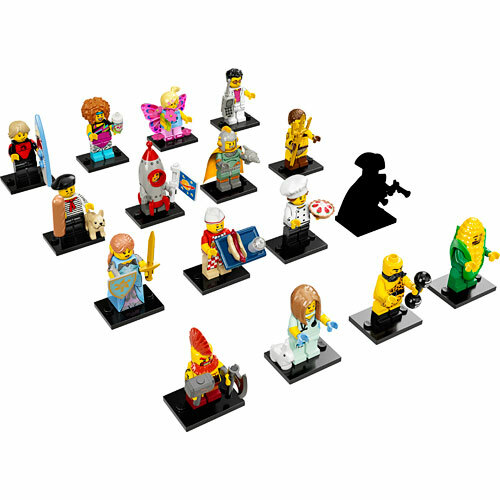 Enjoy exciting, new adventures with Series 17 of the LEGO Minifigures collectibles. Meet the Hot Dog Vendor, Elf Maiden, Butterfly Girl, Circus Strongman, Veterinarian, Battle Dwarf, Dance Instructor, Gourmet Chef, Connoisseur, Corn Cob Guy, Roman Gladiator, Rocket Boy, Pro Surfer, Retro Space Hero and the Yuppie, plus a mystery character! Each beautifully crafted minifigure comes with one or more accessories, a display plate and a collector's leaflet. Which character will you discover inside your next 'mystery bag`? 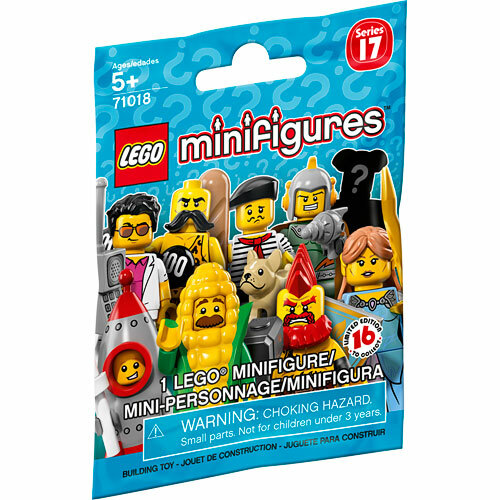 -Every minifigure comes with one or more accessories, plus a display plate and a collector's leaflet. 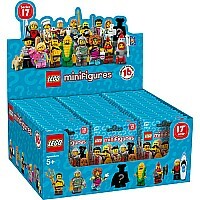 -Collect this exciting new series of LEGO Minifigures characters and create new and wonderful adventures. -Combine with LEGO building sets for endless play possibilities. -Have fun trading minifigures with your friends to complete your collection. -PLEASE NOTE: Each mystery' bag contains 1 of the 16 characters available in this collection. Unfortunately, we cannot accommodate requests for specific minifigures. If you purchase more than one mystery' bag, you may receive 2 or more identical minifigures.